I became intrigued by Hardrock after listening to the passion from finishers, pacers, and camp Hardrock attendees and watched the number of entrants vying for limited spots steadily increase each year. I was also interested in how this race seems to maintain its roots even with so much pressure to change and be like other ultras. I realized Hardrock is a different beast than other 100 milers. I spoke with a small cross section of finishers and champions to understand what makes this event special, to learn about the event’s culture, and to hear incredible stories. I hope you enjoy the voices as much as I did and have a new appreciation and understanding of the event they call the Hardrock Hundred Mile Endurance Run. Betsy Kalmeyer – 12-time Hardrock finisher, 5-time winner, and Hardrock board member. Hoping to get her 13th finish in 2012. Dakota Jones – Finished second in 2011. Native of nearby Durango, Colorado. Currently living in Silverton training. The favorite for the 2012 event. Diana Finkel – 4-time Hardrock finisher, 4 time winner. Almost won the event out right in 2010. One of favorites for 2012 if she can stay on course. Jamil Coury – Finisher in 2009. Currently living and training in Silverton with hopes of moving off the wait list into the 2012 run. 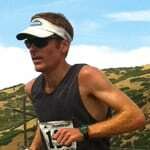 Jared Campbell – 6-time Hardrock finisher, 2010 winner. Prefers ridges and climbing to running. Looking for his 7th finish in 2012. Karl Meltzer – 6-time Hardrock finisher, 5 time winner. Loves training and hanging out before the event as much as the run. If young bucks blow up, has a chance to win again in 2012. Lori Bantekas – Finisher in 2009. Multi-time camp Hardrock attendee and lover of Silverton. Pacing in 2012. Mark Heaphy – 13-time Hardrock finisher. Mark’s wife, Margaret, stopped in a bar in Telluride to order and eat a burger and then won the 1994 Hardrock Run. In the run for 2012. Roch Horton – 10-time Hardrock finisher. Aid station captain at Kroger’s Canteen at Virginius Pass. Will look through your soul if you make it up Virginius in 2012. The Music – The UltrAspire band with vocals by Roch Horton. I'm really looking forward to the next part! River crossings, mountain ascents/descents, weather, nutrition, many things to deal with in an ultra, but falling baby deer?! How does one train for that?! Love it keep en coming!! Outstanding video. Really look forward to the rest. What a great idea! Awesome work Bryon and Evan. This all Evan's handy work. I'm just thankful that I can share it with so many on iRunFar! I don't think this is a good idea. I was thinking of throwing my name in the hat for next year; some of this stories are a little disturbing. getting hit by lightning or sliding down the side of hill not knowing when it stops or how it stops. Yikes! Part of me says don't be a p—y and go for it. what the hell, I'll just go for it. well, maybe….
. . . now if I could only get in, and become part of all that . . . This is awesome–about as close, I reckon, as I'll get to experiencing this madness. Great work Evan, I had no idea you were so versed in film. Thanks for broadcasting iRunFar. Please keep Your fine work coming via this video story / video format. Just one question: What's with Dakota Jones's sports-casual look, sitting in front of those graphs – did you catch him at work?? Those were sheets of music – in front of Dakota's piano – the night before a 10hr day in the office – the San Juans! I see, thanks. I meant the things on the wall, they look office-ish. I can only see 2 videos… are there more now or do I have to wait for the others to become available? They'll be coming out (official) one a day all week. The sheet music on what looks like a piano? Great video work Evan, it brings the race alive. Sure wish I was running it instead of nursing my knee! Have fun down there, hope to see you later this summer. I'm impressed with your video. Well done everyone. Go Jared! You rock the Hard Rock. Nice job Evan! Thanks for sharing! The three videos I just watched were awesome. Great job with the anecdotes and the descriptions, it all meshes wonderfully! Flying deer!?! Craziest story I ever heard. Can't wait to try Hardrock.